Christian Churches United of the Tri-County Area is a partnership of over 100 Christian congregations in Dauphin, Cumberland and Perry Counties that work together with concerned individuals, public and private funders, and numerous partner agencies to support our neighbors in need. We provide a continuum of programs seeking to address both crisis housing situations and chronic causes of housing and financial instability. While motivated by Jesus' love and example, we service clientele without regard to religion or creed. We are Christian Churches United: United in service and love to those facing homelessness, poverty and incarceration. Our office includes records indicating the presence of a Ministerial Association in the City of Harrisburg in 1866. The purpose of this organization was the promotion of social interaction, mutual literary and religious improvement, and the advancement of the cause of Christ through the agency of the different churches. Hand written minute books from the late 1800's detail this continued work. In 1944, the Association changed its name to United Churches of Greater Harrisburg and Dauphin County and the first part-time executive director, The Rev. Dr. Jesse D. Reber, began his duties. In 1965, the organization changed its name to Council of Churches of Greater Harrisburg. The devastation wrought to the greater Harrisburg area by the 1972 Hurricane Agnes Flood triggered the formation of the Ecumenical Emergency Fund (EEF) by the Council of Churches of Greater Harrisburg. The concern for neighbors who were devastated by the flood launched a new, deeper level of collaboration in hands-on ministry among the churches. The EEF gave aid to those within the community who were faced with emergency needs such as shelter, fuel, clothing, medicine, and transportation. This collaboration led to discussions resulting in the 1978 reorganization of the Council, to launch a new agency--Christian Churches United of the Tri-County Area--focused on collaboration social impact ministry. The first executive director was Rev. Charles E. Dorsey. The Prison Action Committee: CCU’s longest-standing ministry, has been instrumental in providing a forum for volunteer prison ministries in the area. One of the committee’s greatest accomplishments was helping to hire the first chaplain for the Dauphin County Prison (DCP). In the the early 1990’s, CCU helped establish a second chaplaincy position at DCP, still partially funded by CCU, who spends 75% of his or her time at the prison and 25% in the community. The Committee also worked to establish a chaplain position at the former County-owned nursing home. 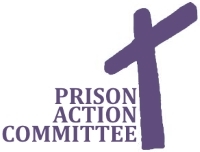 The Committee continues to provide support for inmates and their families, mentor training for person's wanting to work in the prison or with ex-offenders, and training for congregations who wish to be a place of welcome and healing for person's affected by the criminal justice system. Susquehanna Harbor Safe Haven: In 2004, CCU began working with community leaders, other homeless service providers and downtown clergy to address the need for additional housing and support for men living on the street in Harrisburg. This collaborative effort led to the formation of Susquehanna Harbor Safe Haven, a long-term residential facility for chronically homeless men with a mental health diagnosis. Ground was broken in 2007 and SHSH was opened in 2009. Today, SHSH has capacity for 25 long-term residents. From December through March, the SHSH community room is site of our Winter Overnight Safe Haven (WOSH), an overnight sleeping space for up to 23 men on the street run by area churches and volunteers. Project A.S.K. (Assisting Students and Kids): Our newest program, launched 2017, Project A.S.K. is a volunteer driven ministry providing tangible support to students in need in West Shore School District. Donations of clothing, food and supplies are collected and provided to nursing and social work staff for students when a need is identified to minimize hindrances to achieving a quality education. La Casa de Amistad (The House of Friendship) became a ministry of CCU in the mid 1980's providing outreach to the Spanish-speaking community with case management, language classes, after-school programs, and HIV/AIDS outreach and education. Many of these services continue today in our community through the Latino Hispanic American Community Center (LHACC). Lend A Hand, a volunteer ministry, was a part of CCU from 1992-2005, and continues to provide volunteer disaster relief, especially in other states. The Bridge of New Cumberland, a volunteer food pantry and delivery ministry, was a ministry of CCU from 2006-2017. CCU participated in the development of the ministry, along with many social service organizations and churches in Cumberland County. CCU collaborated in helping the Bridge move under the auspices of New Hope Ministries in 2017 as part of New Hope opening a ministry center in nearby Lemoyne. Contact HELPline, a vital community referral and information hub, began as a ministry of the Council of Churches in 1970 and today continues as a vital 24-hour gateway to human services in Dauphin County. As an organization of churches, each year CCU serves thousands of individuals through its various ministries. Please visit our individual ministry pages to learn more about how we continue to serve as Christian Churches United in love and service to those facing homelessness, poverty and incarceration.